Meadows at Ferguson is directly off Interstate 635, minutes from downtown with access to employers throughout the Dallas metro, and within walking distance to Meadow Creek Village Shopping Center. Meadows at Ferguson is directly off Ferguson Road and Interstate 635 near downtown. 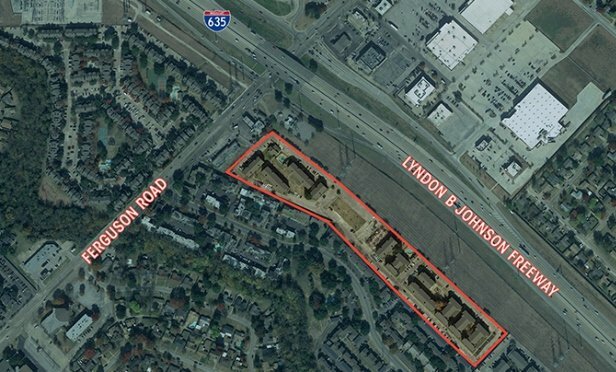 DALLAS—Meadows at Ferguson is a 264-unit partially affordable housing property that recently sold to an undisclosed buyer. The 264-unit garden-style property was built in 1983 and consists of a mix of one-, two- and three-bedroom units with an average of 723 square foot per unit.